Winger Callum Hudson-Odoi is "ready to play" for Chelsea and could start against Brighton on Wednesday, says Chelsea manager Maurizio Sarri. The Italian tactician has been criticised for not starting the highly rated winger especially after the 18-year-old made his full England debut in Montenegro last week. "In my opinion, he is our future," said Sarri. "He will probably start tomorrow or in the next match." The English Ghanaian international has made 19 appearances for Chelsea this season and scored five goals but he is yet to start in the Premier League. Chelsea fans chanted his name at Cardiff on Sunday but he was left on the bench as they came from behind to score a late winner. After playing Brighton, Chelsea face West Ham next Monday and Sarri finally appears convinced Hudson-Odoi should be in his starting line-up. "I realised in pre-season that Callum was a player with very great potential," he said. "But at that moment, he wasn't ready to play at this level. During this season he has improved and now he's ready to play." 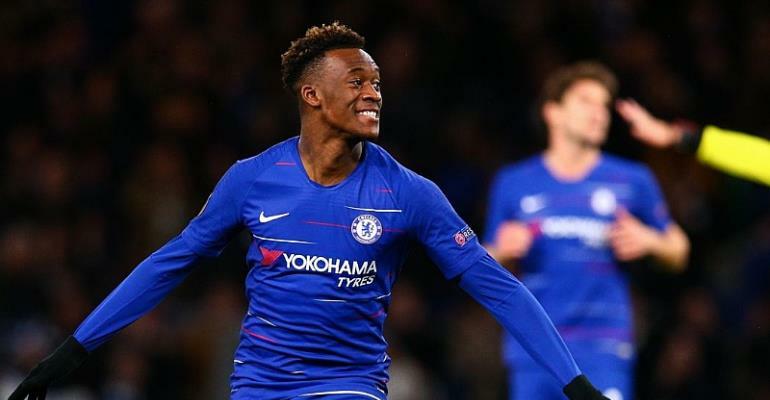 Hudson-Odoi was linked with a big-money move to Bayern Munich in the January transfer window and the German giants may revisit in the summer to test Chelsea's desire to keep him. "I know Callum very well," said Sarri. "His potential is high and I want him to improve more."